To be available at major retailers for $39.99. Nicalis has announced that it will publish a physical edition of Wonder Boy: The Dragon’s Trap for PlayStation 4 and Switch at major retailers across North America in Q1 2018 for $39.99. Wonder Boy: The Dragon’s Trap is currently available digitally for PlayStation 4, Xbox One, Switch, PC, Mac, and Linux. 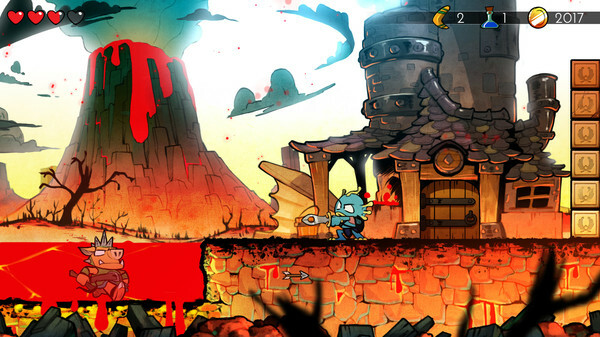 The Switch and PS4 versions of Wonder Boy: The Dragon’s Trap are presented in widescreen HD, with enhanced interface functions, a new playable character (Wonder Girl) and the option to toggle between the all-new hand-drawn visuals and the original graphics.